In the Gilastopainters' first game of the 2018 Asian Games against Kazahkstan, it was Stanley Pringle who stole the show with an explosive debut. 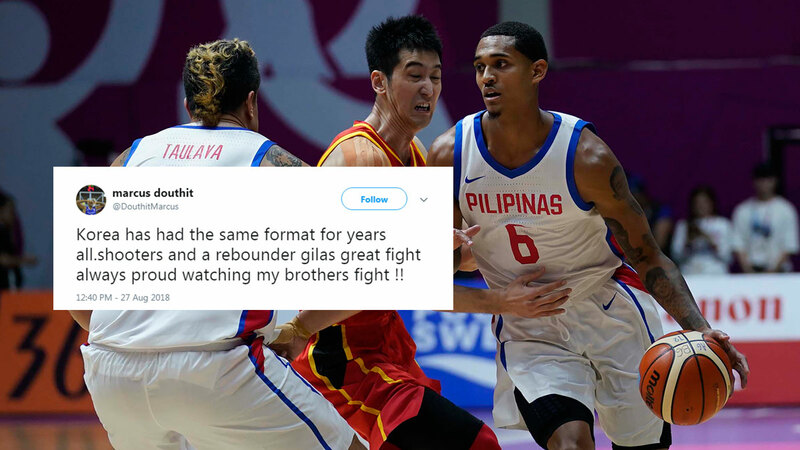 Against China, despite the loss, Jordan Clarkson gave his all, and maybe even too much, to help our national team. 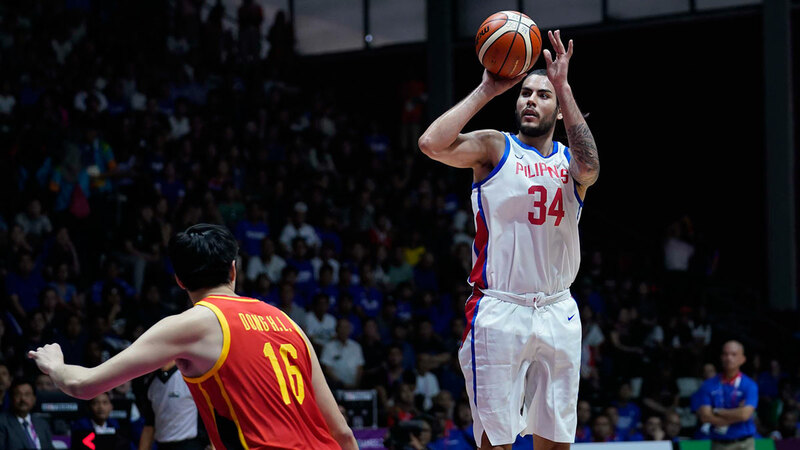 This time around, Christian Standhardinger gave his all-out effort on both ends of the floor with a monstrous game in a losing battle versus Korea. The Koreans owned the Pinoys early on, showcasing their crisp ball movement and efficient three-point shooting, something we already knew they would do. But Gilas kept it close, and eventually took the lead in the second quarter, with a balanced attack from from the likes Gabe Norwood, Paul Lee, Pringle, and Clarkson. It was evident that coach Yeng Guiao, after a Clarkson-centric offense vs China, changed the team's approach to the way Gilas basketball should be played: spreading the floor, driving in and kicking out, and knocking down jumpers from just about everywhere on the court. Then Standhardinger kept getting shots at the low block, banging bodies with Korea's interior defense. Whether he was free or heavily guarded, Standhardinger kept shooting and rebounding to break the game open for his team. After a sloppy start on the defensive side, Gilas went on lockdown against the Koreans, either forcing them to take bad shots or turn the ball over. JP Erram had fantastic blocks on driving and cutting opponents, while Standhardinger, Raymond Almazan, and Beau Belga kept a fatigued Ricardo Ratliffe at bay with some body-to-body defense on the low post. It was a tough rebounding game for Gilas, however, letting the Koreans grab offensive rebound after offensive rebound. You can't discount our team's efforts—they were trying, but the ball just kept bouncing the other team's way. In the end, that's one of the key factors that led to Gilas' downfall. Standhardinger was Gilas' top rebounder with nine (you can see him fight and jump for loose balls), and next to him was Clarkson, a shooting guard, with eight. Gilas controlled the entire game since they got the lead in the second quarter. But in regulation, Korea turned the table on us. They started playing scrappy, chasing after the ball immediately after it bounces off the rim. Then—what we feared the most—the threes started falling for Korea and that spelled the end for Gilas. Despite Standhardinger's 16 points, nine rebounds, and three assists, it wasn't enough to maintain the lead and win the game for Gilas. Nevertheless, Standhardinger fought for every statistic on the box score. He earned a lot of Pinoy hoops fans' respect for giving his all and bulldozing his way into his most memorable game yet. Props to every player, coach, and trainer in Gilas Pilipinas. They did everything they could to represent our country well in the basketball Asian Games. Despite not ranking high enough for medals, Coach Yeng and co. showed a lot of heart and will to go against the best players in Asia, and you can't take anything away from that. We'll be back. Laban Pilipinas! Puso!